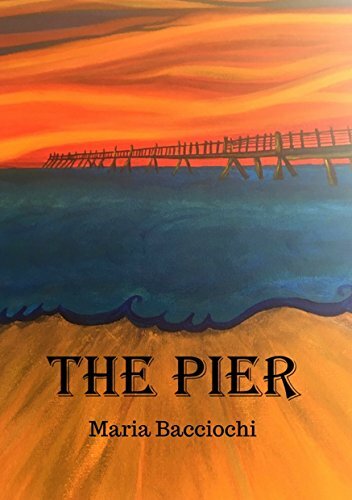 A body has been found on a Dorset beach close to a dilapidated pier following a 'Ladies Night' entertainment evening held at The Pirate, a rundown beach bar frequented by dubious characters whose lives are interwoven with mystery and intrigue. Jim Campbell's new life is crashing around him after his jilted mistress, Dawn, tracks him down, and the realization that his wife, Kirsty, is also having an affair. Simon Twigge, a petty criminal, suffering flashbacks from his abusive childhood, is enraged after his eccentric landlord suddenly threatens his family with eviction. Nadine Taylor, a former drug addict, is struggling to stay clean following shocking revelations regarding her birth parents. Also having connections to the seedy venue is Dave Bell, a notorious local business man. His secret past comes back to haunt him when a face from the past, Vernon Sykes, tries to blackmail him. D.I. Petra Little, returning to work after a vicious attack, has her work cut out with this intricate case.